← New designs and exciting developments! We popped these beauties on the main Soaps page, but on second thoughts decided they needed a whole post to themselves! 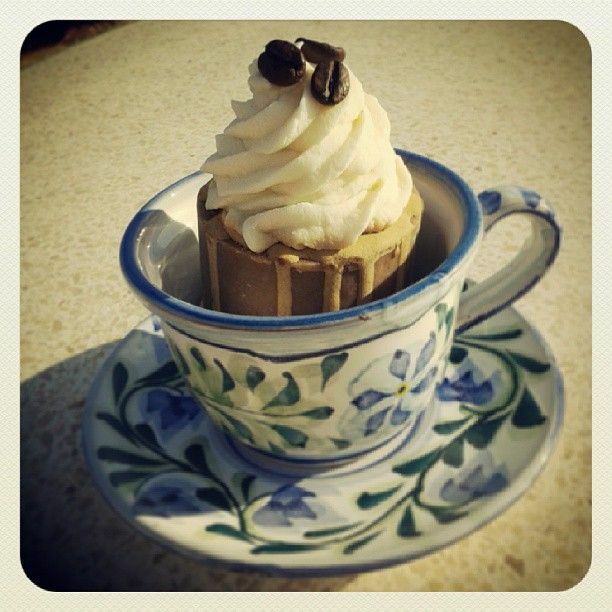 We were delighted to work with one of our soap devotees to create this beautiful coffee-cup soap. The main soap is a rich and warming walnut and coffee, with a creamy vanilla swirl to top it all off. They sit perfectly in a cup or mug for a fantastic gift, wedding favour or just to make you smile in the morning! This is a special batch made up just for our lucky customer, but if you fancy a cup yourself then just get in touch and we can get creative with you! Just to clarify, the cups aren’t included, just the soap. These are our favourite set from Porches Pottery in the Algarve, but any cup or mug would look great with a little coffee soap filing.